The SECR Society caters for many interests. The main categories being research, modelling which are often inter-related, and artefacts, either as existing infrastructure or individual items. Modelling, however, is probably the great initiator. This section of the website provides lists and suggestions to help the would-be modeller. The most common scales are shown – 2 mm, 3 mm, 4 mm, 7 mm, 10 mm and there’s even a 5” Gauge live steam reference. 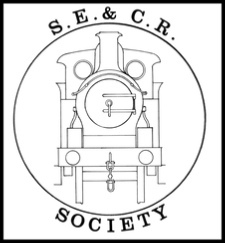 Of course, by joining the SECR Society, the new member gains access to drawings, photographs and, perhaps most importantly, other members who already have many years of modelling experience of the SECR and its constituents. These documents contain information about commercially available models, kits and other products relating to the three railways in 2 mm, 3 mm, 4 mm, 7 mm and 10 mm scales. Our Modelling Album contains images of models that have been built by some of our members. The society has a large collection of drawings that can be made available for members. There is also an increasing amount of SECR Ready-to-Run models from major manufacturers coming on to the market; some of which are illustrated here. Our second Modelling Album contains 20 photographs of a variety of 7 mm models. All models are built from scratch or modified kits. Photographs and captions are Courtesy of SECR Society Member Richard Barton. This album contains photographs taken at the Orpington & District Model Railway Society’s Show on Saturday 9th January. Showing EM Gauge ‘Admiralty Exchange’ a continuous circuit based layout based on the SECR. Captions courtesy of John Arkell.